Welcome to another edition of Women's Heart Foundation email newsletter. iRescU a Winner at Medstartr! 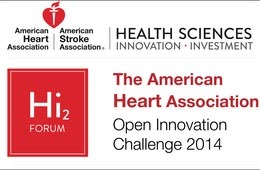 Congratulations to Dr. Nadine Levick who won second place at the Hi2 Forum, American Heart Association Open Innovation Challenge 2014 that took place in NYC March 6, 2014. The Women's Heart Foundation had asked its e-news subscribers to support this worthy project in late February, and you did! Thank you, Women's Heart Community! It's thrilling to see Dr. Levick's iRescU project receiving due attention. iRescU uses Smartphone technology and hopefully, one day, Google Maps, to help any bystander locate the nearest Automated External Defibrillator (AED) in case of Sudden Cardiac Arrest (SCA). Initiating CPR alone on a fallen victim yields about 4% survival; whereas, deploying and using an AED within minutes after SCA occurs yields 80% or better survival. Dr. Levick is the founder and director of the EMS Safety Foundation and the Objective Safety organization. She is employed as an emergency room physician at a New York City hospital. Thanks to the generous support of donors from the eBay Giving Works, Paypal Giving Fund and the eBay Cause and Effect campaign, $14,056 was raised last month to benefit the Women's Heart Foundation, in its mission of heart disease prevention, survival and quality of life. The money will be used to update the womensheart.org website and begin a new advocacy and education campaign in the central Jersey and Philadelphia regions. "Kickin' Heart Disease" is a 3-year initiative that will launch during National Women's Health Week in mid May with events to take place throughout the year. Festivities are being planned at the Acereel Studios in Glenside, PA. Acereel and the Smooches Modeling Team are being featured in educational materials. These dedicated women will be our "boots on the ground", helping to deliver the women's heart health message to family and friends, at work, school and places of worship. While the Kickin' Heart Disease campaign will focus on outreach to local communities, the design and dissemination of materials could be replicated anywhere, and WHF welcomes additional partners.For more information, contact WHF: info@womensheart.org. Eating greens every day can be transformative for weight loss and for health. We need to learn the importance of having greens in our diet daily so we may heal, nurture body cells and remove toxins on a regular basis. This is an essential part of life. Finding the highest quality of green vegetables - preferrably locally grown - can deliver the highest nutrtional value. 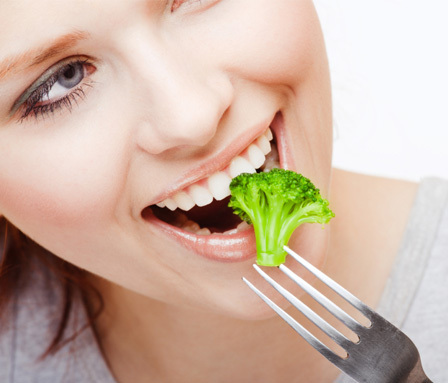 Not only are greens beneficial for the digestive system, they also boost the immune system. more info at www.SheKnows.com Health and Wellness website. Note: We did a google search and found nearly twenty-five Green Soup recipes. We chose two delicious-sounding ones that we hope you'll like. We also found a terrific fat-free Split Pea soup by Progresso Soups. Fat-free is good for gall bladder sufferers and works in a pinch. This easy detox soup can be thin or thick, depending upon the amount of water you add. It cooks up fast. We served ours with a modest scoop of hot cooked jasmine rice in the middle. Super good. Using a large soup pot, heat the olive oil over medium heat and stir in the garlic, onion, and ginger to season the oil. Add the broccoli, spinach, parsnips, celery and parsley, and stir a bit until the spinach wilts and collapses. Add just enough water to cover the vegetables. Remember the spinach will cook down quite a bit, so don't add too much water at first. You can always thin the soup later, if you need to. Bring to a high simmer, cover the pot, and reduce the heat to a medium simmer. Cook for fifteen minutes or so until the veggies are softened. Taste test. Does it need brightening? Add a squeeze of citrus. To make this a creamy (and still non-dairy) soup add a good dash of light coconut milk. And if you're not averse to grains, serve with a spoonful of hot cooked rice in the center of the bowl- so fabulous. * source: glutenfreegoddess.blogspot.com. Makes 4 servings. March 31 , yesterday, was the LAST DAY to sign up for Obamacare open enrollment. Learn more. Please note: The website was experiencing difficulties handling the surge in traffic, so check back at the government website to learn of further extensions or special accommodations. April 1-7 is Medication Safety Week with ppt programs to commemorate. Starting on April Fool's Day, don't YOU be fooled by your medicines. Follow safe habits when taking any medicines or supplements, and communicate with your doctor and pharmacist. Women's Heart Foundation will be releasing its new ppt on Medication Safety on April 1. Learn more. May 7 is Bike to School Day. Help commemorate by accompanying your child to school via a safe walk or bike path. May 11 - 17 is National Women's Health Week 2014 . Click here to find a meet-up and enjoy a healthy community activity. May 15, 2014 is the launch date for our new heart awareness campaign, in conjuction with Acereel Studios of PA and the Smooches Models. More details will be forthcoming in future editions of Womensheart e-newsletter.